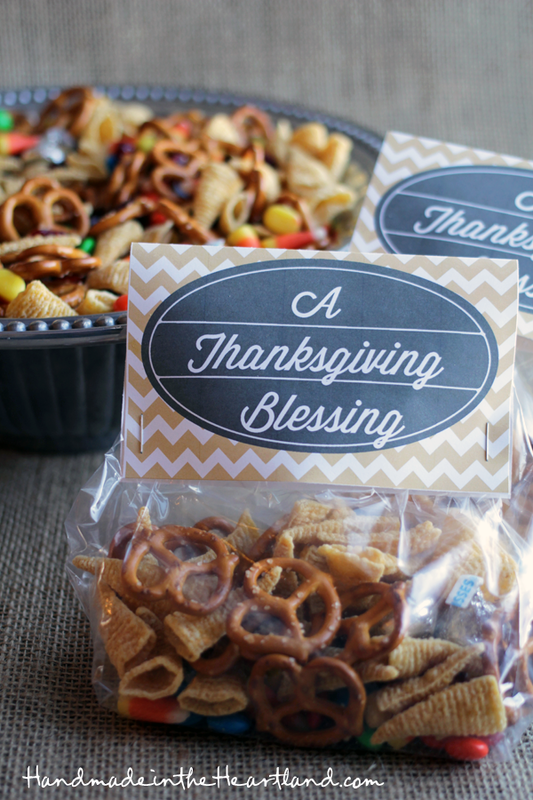 My mom asked me to make this blessing mix and it turned out so cute! 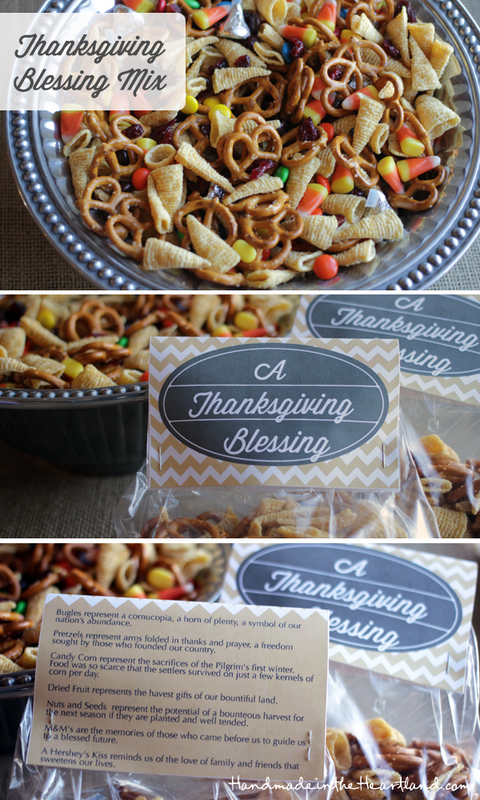 I’m not so sure how tasty the mixture is, i guess i’m not the biggest fan of bugles, but i love the sentiment behind each ingredient in the mix, and how its a perfect little gift to drop by neighbors or other friends just to let them know you are grateful for them during this season. I used 5″ wide clear treat bags i got at walmart and printed out the top label on my home printer. You can download the label for free HERE. Also just a note on the bugles, they are super hard to find- i got mine at a gas station. 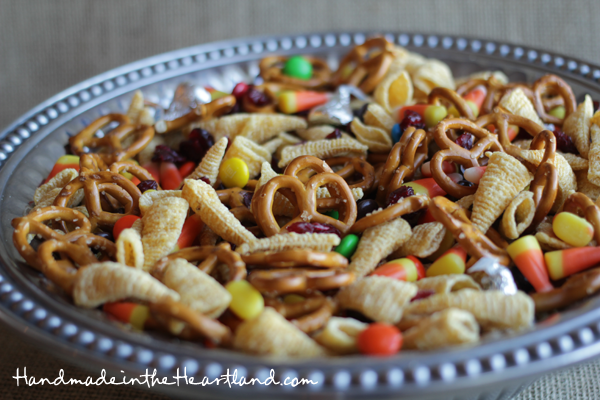 -Bugles represent a cornucopia, a horn of plenty, a symbol of our nation’s abundance. -Pretzels represent arms folded in thanks and prayer, a freedom sought by those who founded our country. -Candy Corn represents the sacrifices of the pilgrims first winter, food was so scarce that the settlers survived on just a few kernels of corn per day. -Dried fruit represents the harvest gifts of our bountiful land. -Nuts and seeds represent the potential of a bounteous harvest for the next season if they are planted and well tended. -M&M’s are the memories of those who have came before us to guide us to a blessed future. -A Hershey’s kiss reminds us of the love of family and friends that sweetens our lives.